Located on the corner of Fifth and Main Streets and at 268 ft/82 m tall, the Blackstone Hotel is the tallest hotel in downtown Fort Worth, Texas. It is noted for its art deco with terra cotta ornament with setbacks on the top floors. The hotel was constructed in 1929, and sat vacant for nearly 20 years. The Blackstone Hotel guest list is full of notable people including Presidents of the United States ranging from President Harry Truman to President Richard Nixon. The Flatiron Building is located in downtown Fort Worth, Texas, at the corner of Houston and West 9th streets. 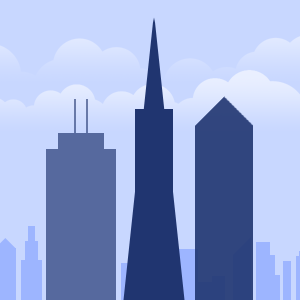 At the time of its completion in 1907 it was one of city's the first steel frame buildings and the tallest building in north Texas. 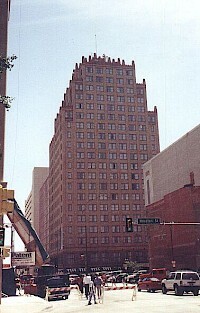 Fort Worth's Flatiron Building was commissioned by local physician Dr. Bacon Saunders, who reserved the top floor for his offices, at a cost of $70,000.